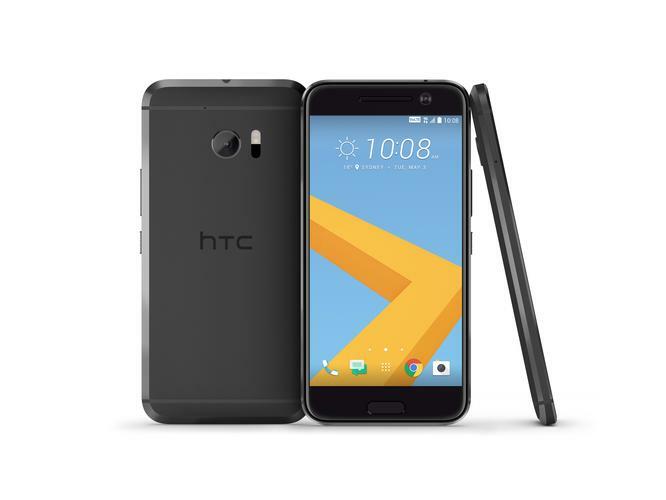 HTC has unveiled its new HTC 10 flagship phone. Carved out of a solid block of aluminium the 5.2in display sits behind a layer of glass that covers the entire front. Key features include 24-bit audio, a double-optical-image-stabilized-camera-system, reduced interface bloat and an impressive, rear, 12-megapixel, f1.8 camera which gives the iPhone 6S Plus a run for its money. In our brief hands-on it felt much better than the disappointing, upgrade-by-numbers predecessor, the HTC One M9, which was a lazy upgrade at a ridiculous price – phones that were half its price offered better features and performance. It feels incredibly solid and, with the latest-generation innards, felt very fast and responsive. People who don’t like thin phones may dislike the 3mm-thick sides, though, which can make the phone hard to hold securely. A new official case, called the Ice View, lets you see through the flappy cover. While it’s not as cool and retro as the coarser, dotty cases we saw on predecessors, the finer mesh shows more information and better notifications for third party apps. The 3,000mAh battery promises a whopping 27 hours of talk time and two days of average use. The M9 barely lasted a day so we hope this lives up to the specs when we fully test it. It comes with “hi-res audio” earbuds which can make use of the 24-bit audio. The new fast charger apparently can fill the battery to 50% in 30 minutes. HTC has proudly removed a great deal of bloatware and unnecessary apps, saying that Android’s own apps are now mature enough not to need duplicating. Fans of HTC’s own Calendar app and such like will still be able to download them on the Google Play Store. It doesn’t run a pure version of Android – a reduced version of the HTC Sense interface is retained. New optimisations include the ability to move app tiles anywhere across the screen (no more grid spacing) and icons can be changed to different shapes and sizes. A new app called HTC Boost+ apparently helps with battery life by acting like an intelligent task manager. A new Personal Audio Profile allegedly dynamically matches sound to your ears – we’ll be interested in testing that claim out. In terms of handling, the bottom button is now a non-pressable fingerprint reader and the power button on the side is ridged to make it quickly identifiable as a power button and not a volume rocker. It all amounts to an impressive-sounding phone that looks to live up to its promise in the brief time we had with it. It’s already significantly better than the M9 and already more attractive to Android fans who don’t like Samsung’s S7 Edge screen or Sony’s glass monoliths. However, in a crowded market much will depend on price. This is a premium phone and the price will likely be too... unless HTC feels like apologizing for its previous flagship by overcompensating with much better value this time around. Price and availability are yet to be announced.